ODESSA, Ukraine -- Mikheil Saakashvili was appointed governor of Ukraine’s Odessa region in February, to fight corruption. 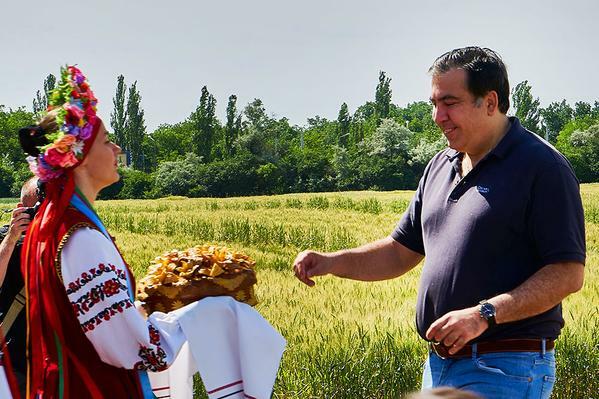 Mikheil Saakashvili, Governor of Ukraine’s Odessa region, being greeted with traditional Ukrainian bread and salt. The former Georgian president might even be considered for higher office. We talked to him in the major Black Sea port city.